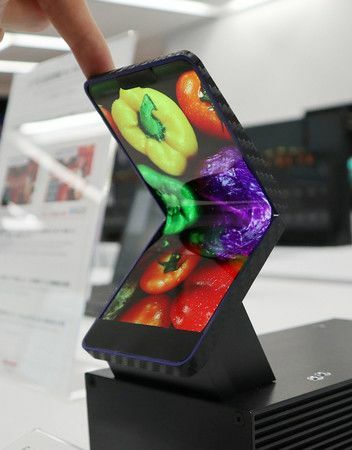 Sharp Unveils Foldable Smartphone, Aims to Put On Sale in Few Years | Industry Analysts, Inc.
OSAKA – Sharp Corp. unveiled a prototype of its first foldable smartphone on Wednesday, aiming to commercialize it in a few years’ time, as it followed Chinese and South Korean rivals in introducing next-generation mobile technologies. Sharp is using organic electroluminescence panels for the new smartphone’s display, which can be made thinner than liquid crystal displays with higher-precision pictures. The company said the product has cleared 300,000 folding tests. This entry was posted in Sharp and tagged foldable smartphone, Sharp by IA Staff. Bookmark the permalink.